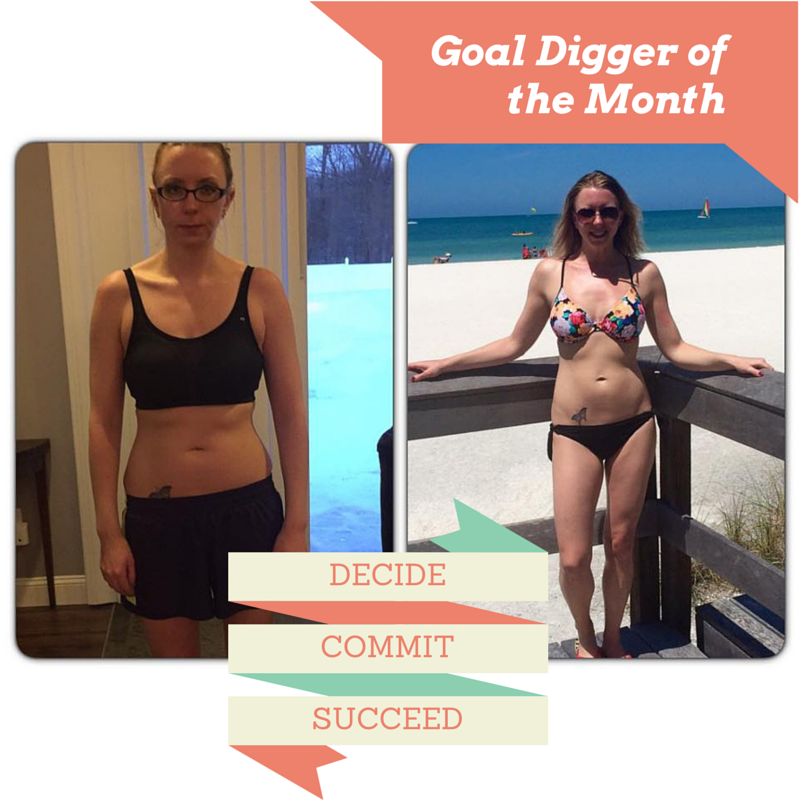 Goal Digger of the Month: Samantha Rockin’ Her Beach Body! I’ve decided to do a transformation series on this blog, because these stories inspire me and overload my love tank every single day! Sam was one of my first customers. When we started chatting about her goals she explained to me that she wanted to tone up before her upcoming trip to Florida. Based on her goals and her current routine we hooked her up with Beachbody’s 21 Day Fix EXTREME challenge pack. If you want to talk about committing to a program….Sam is a PERFECT example of what I mean. This girl knows the nutrition plan front to back, asks questions when she has them, drinks Shakeology daily, and crushes the workouts every. single. day. Throughout her first round of the program she’d tell me how good she was feeling and that she was loving her results. Still, when she shared this before and after picture I was blown away. I mean, seriously…BEACH BABE, am I right?? She lost 10 pounds and gained lean muscle. You can feel her confidence shining through in that second picture. I also want to share with you that Sam’s journey to health didn’t just start in February. Since June 2013 this inspiring woman has lost 50 pounds. 50 pounds, people! She took the first step, hasn’t looked back, and so can you. This is a lifestyle change, not a quick fix. Yes, you lose weight and inches, but this is about SO much more than that too. It’s about taking back control of your health with knowledge and workouts that empower you to be the best version of you. Sam quickly became a coach as soon as she started to feel those waves of change ripple through her. Now she’s helping others along their health and fitness journey. Nothing worth having ever comes easy. Sam WORKS for it. And that’s what makes her success that much sweeter. I couldn’t be more proud to have her in my life or on my team of coaches.